Lanyard, Badge Attachment, Black, Gripper 30 Card Clamp. Quantity of 100. Holders, Badge Holder, Vert Side Load Rigid Card Holder. Sold in quantities of 50. Priced per 50 units. 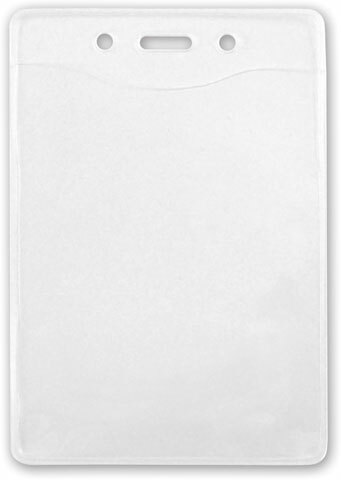 Holders, Badge Holder, Clear Vinyl Proximity Card Holder with Slot, Vertical. Sold in quantities of 100. Priced per 100 units. Holders, Badge Holder, Frosted, Rigid Plastic Access Card. Sold in quantities of 50. Priced per 50 units. 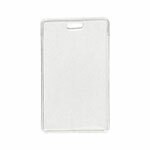 Holders, Badge Holder, Clear Vinyl Proximity Card Holder with Slot/Chain. Sold in quantities of 100. Priced per 100 units. Holders, Perma-Lock Card Case - Vertical. Sold in quantities of 50. Priced per 50 units.